Email comes to the rescue for Free School proposer. John Morahan, chief executive of Yorkshire Nationwide Schools, takes questions from local residents. 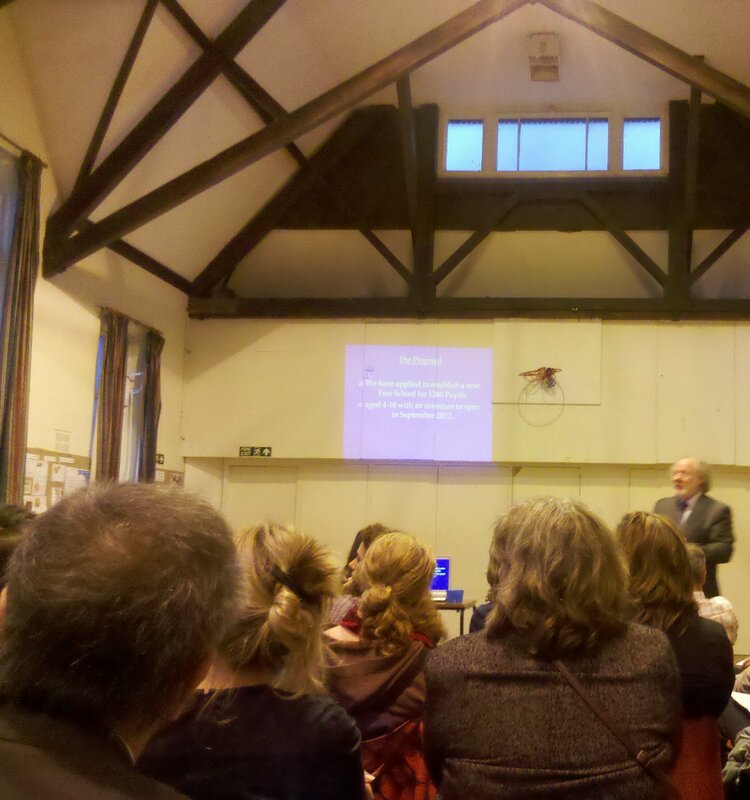 About 40 people attended an open public meeting at St. Luke’s Church Hall last Wednesday to find out more about a new Free School which has been proposed by Yorkshire Nationwide Schools (YNS). The meeting, which lasted almost 90 minutes, took the form of a question and answer session with the chief executive of YNS, John Morahan. I wasn’t taking detailed notes but here are a few points I picked up. A leaflet distributed by YNS a week before the meeting, claimed that the school would be called East Sussex Independent Grammar School. It was taken by many that the location of the school would be in Brighton, as this is what appears on the website of NICHE, an associate company to YNS. However, it emerged during the meeting that YNS are finding it difficult to find suitable premises for a school site in the city. Consequently, YNS are looking at alternative locations, one being Littlehampton! For this reason, said John Morahan, the school will actually be known as Sussex Independent Grammar School. YNS has applied to open a Free School for 1380 pupils. The school would be for ages 4-18 and would open in September 2012, with the intake for secondary school starting at Year 7. The teachers and management would all be from ‘local’ people. I think it’s fair to say that most people at the meeting were unconvinced by some of the claims made by John Morahan especially as there was often little detail given to back them up. E.g. It was claimed that 100% of pupils would gain at least 5 (A* to C) grade GCSEs in a Free School but how this would be achieved was unclear as the school would be non- selective. Emotions started to run high when a slide showing the pass rates for Brighton schools was swiftly followed by those for Hurstpierpoint College and St Paul’s Catholic College – hardly fair comparisons. A good proportion of the meeting was spent, not discussing the proposed school but questioning the credibility of John Morahan and the YNS company. What experience did they have of running schools and how could they be confident that the schools would deliver the claims made? In answer to many of these questions, we got the reply “Please email me and I’ll get back to you”. Well if anyone has emailed John Morahan and got a reply, I’ll add them to this post. Not everyone at the meeting was completely against the idea of a Free School and one person from Kemptown said she welcomed the opportunity for an alternative school in her area of Brighton. A meeting was held of the FoDRP on Tuesday 7 June, the minutes of which are attached. Everyone is welcome to attend these meetings, held at 6.30 on the first Tuesday of every month, and very kindly hosted by Dyke Road Park Cafe. Next event: Gardening Work Party 10.30 on Saturday, 18 June. A Committee Meeting was held on 9 June, minutes of which are attached. The next meeting is on 8 September, when we will be finalizing plans for a Quiz Night in the autumn. The arrival of the Ghost Train, a sculpture of an old Brighton-built loco, on the Greenway appears to have been delayed, so while we’re waiting for this image of bygone times, here’s a link to a wonderful online archive of historic local photos: the James Gray Collection, hosted by the Regency Society. There are many pictures of London Road and the New England corner of the Prestonville area, including this 1910 photo of one of the Old Shoreham Road houses just up from the railway bridge, and more recent pics of the Bridge Inn, which was demolished in 1971. When you turn right under the bridge onto Old Shoreham Road, you’re going through where the pub used to be. Click below for the monthly newsletter on policing activity in Fiveways and Preston, including Prestonville. The next gardening work party in Dyke Road Park is 10.30 Saturday 18 June, outside the cafe. Steve the gardener would like us to: cut back some dead shrubs, remove some old man’s beard, weed amongst the roses. Anybody want spare (pond) arrowheads? These arrowheads need thinning out. They’re not firmly rooted, so should be moveable. 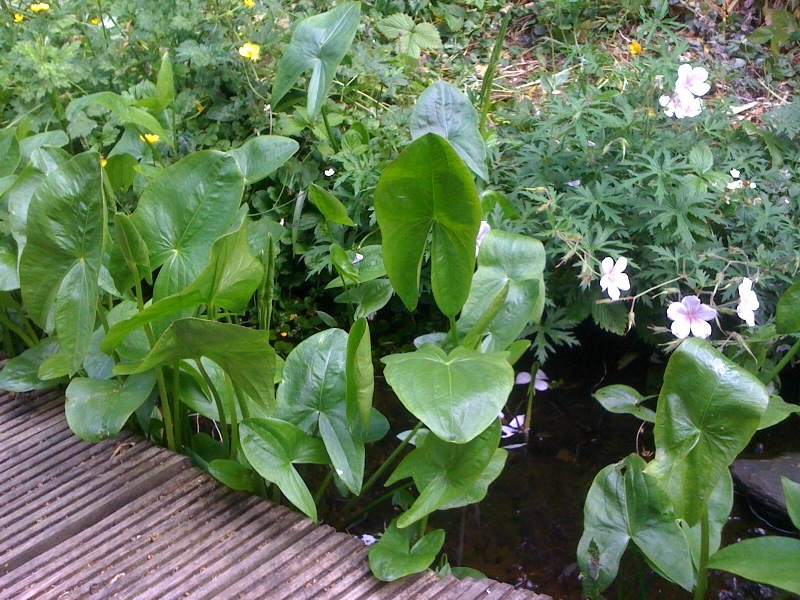 If you’d like any for your pond or water feature, please get in touch.